Eurocom Corporation, (www.eurocom.com), a leading developer of long lifespan, fully upgradable notebooks, high performance mobile workstations and mobile servers has created the Eurocom Higher Education Program. The Eurocom Higher Education Program offers students, recent graduates and faculty a 10% discount on any Eurocom computer system! The summer months leading up to the beginning of the School year is the perfect time for students to prepare for the upcoming year of education. The Eurocom Higher Education Program is aimed at helping and ensuring students get the notebooks that they need to succeed. Students planning on attending University need to ensure that they are equipped with capable systems that can handle the work load. With Eurocom notebooks students can choose the exact components they need without being forced to configure their systems with technologies or components they do not require. With Eurocom systems, users get only what they want and pay for only what they choose. “Thanks to the Eurocom Higher Education Program students can now go back to school with the blazing fast hardware that they need to succeed” said Mark Bialic. Eurocom is committed in assisting students and graduates acquire highly capable computer equipment that can last a lifetime. “Eurocom has a goal of helping every student and graduate progress towards being an active participant of the global workforce. Graduates can acquire the best hardware for their first jobs and employers can use the program to get new hardware for new graduate hires” said Mark Bialic. The Eurocom Higher Education Program applies to High School Students, University or College Students and Graduates as well as Educators. The discount applies to all new Eurocom Mobile Workstations, Notebooks, Mobile Servers and All-in-One Desktops purchased directly from Eurocom. *The Eurocom Higher Education Program cannot be combined with any other offers. 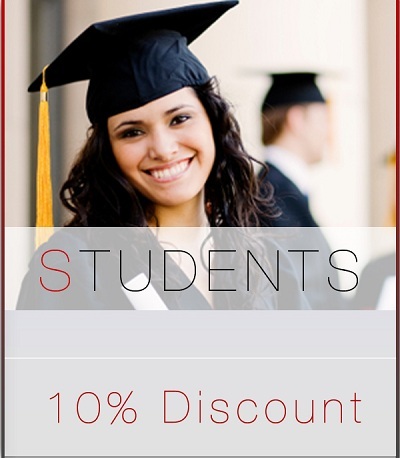 *Recent graduates refers to individuals who have graduated less than 2 years from time of purchase.